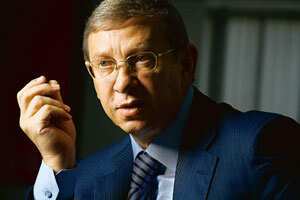 New Delhi: Vladimir Evtushenkov, chairman of Russia’s large private conglomerate, Sistema JSFC, is betting big on India. The businesses at Sistema group, with revenues of $13.7 billion (Rs67,404 crore) in 2007, span telecom, banking, space technology, real estate, retail, media, tourism and health care. What is the purpose of your trip to India this time around? Was there any particular business to attend to? This trip was linked with the visit of the Russian President to India, but we travel to India pretty often. (On Friday at New Delhi’s) Hyderabad House, President Medvedev and Prime Minister Manmohan Singh signed an agreement for the establishment of a Indian-Russian Business Committee with two co-chairmen. Mukesh Ambani (chairman of Reliance Industries) from the Indian side and I am from the Russian side. And the members of this committee are the representatives of both Russian and Indian businesses. The purpose of this committee is to facilitate and improve business relations between companies from both countries. Can you give us a bird’s-eye view of all your operations in india? Our major trend in India is the roll-out of pan-India mobile network operations. That is a huge roll-out and we will need 15,000 employees for the full scale project development. That is a very serious capital outlay ($5.5 billion announced earlier). Alongside the mobile business there are other divisions of the company here...like there is technology transfer and development—in particular for the railway ministry and science ministry. And for the Indian scientific agencies as well. We are looking at the possibility of entering into the technology development business, oil and gas projects and real estate development as well. So the range of our interests here is very wide, both in India and in us. India looks good—if it looked bad, we would not come here. You have a strong financial services business. Are there any plans to expand that to this part of the world? Are there plans for your other businesses to tie up and enter India? We have plans. But we only talk of those that we have started implementing. For example, we have such a trend that is the movie business industry and right now, there are some negotiations with Bollywood about shooting some of the films together. And I think it will be done. You have partnered Shyam Group in the country for telecom business. Are you looking at anyone else to partner with for the other businesses in the country? Shyam Group is our partner only for telecom. We are in the midst of negotiations with Mr Ambani for the oil and gas, and we think he will become our partner. We are negotiating with the Tata group, as well, for some high technology trends. Actually, we are trying to make a collaboration with all the major industrial business groups in the country. With ONGC, we would like to work out exploration and production issues upstream but we can discuss downstream as well. For real estate development, we don’t have any specific projects in the country but we are in the exploration stage and are assessing the market. I don’t want to discuss the details now because this is only the initial stage of negotiations and it can be interpreted in the wrong way in the initial stage. Before we sign the contract, it is too early to give out the details. Has Sistema participated in any of the bidding and tendering processes for oil and gas exploration in India? No, we don’t take part in the current bidding for oil and gas but in the future we will look into that. Do you have any plans for 3G, or third generation telephony, in the country? First of all, 3G is a very good thing. And right now we are studying and exploring that issue and a final decision has not been made yet. We have invested and are prepared to invest a lot of money in the present network roll-out. That’s the major trend of expansion right now. It’s a global task and takes a lot of effort to implement. We are talking about a pan-India roll-out of mobile networks in a very short time. Are you willing to invest more than the $5 billion committed? There is a bridge in San Francisco in America that they paint round the year. Investment in the telecom sector is similar. Round-the-clock, 24/7. Investment is a continuous process that never stops. Even in the countries with a developed economy and with more than 100% penetration, mobile operators invest a lot in capital equipment for expansion and other things such as improving quality of service. There is no final amount. What percentage of global revenues for Sistema come from India now and how do you see this in the future? In the next three years we do not expect any revenues from Indian operations at all. But we were ready for it and we knew it before we came here. Because right now is the period when you invest the money, and it takes a lot of time. It is impossible to forecast when it is applicable to telecom companies. Are you looking at any of the large industrial groups from india to invest back in Russia? Are there any other business plans that you are looking into aimed at the India market? We are also looking at providing our security solutions in the country and we have also discussed this with the national security adviser and other ministers and ministries. In the near future, the whole range of our high-tech products including security systems will be introduced into the Indian market.